Custom interior spaces that speak to who you are. REdesign.build is an award winning remodeling and new construction design-build company working in the Raleigh area since 1995. Providing full service design and construction services committed to construction quality, sustainability and architectural integrity. 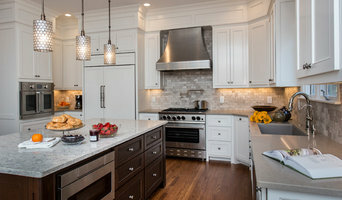 Johnston County's Full-Service Interior Design Firm - Best of Houzz! MA Allen Interiors is an award-winning Interior Design firm. We are the partners that take a single thought, or a tiny swatch of fabric, or a family heirloom…and allow that small seed to become an explosion of ideas that eventually transforms your entire space. If you’re a retail client, that space will attract. If you’re a custom builder, that space will make life both indulgent and highly functional for your clients. If you’re a homeowner, we help you create a home that’s undeniably, unequivocally you. Though each space we design is distinctively different, we bring a polished and sophisticated look to all. Timeless, whether it’s traditional or modern. A look that invites as it wows…one that offers clean, elegant lines as it takes ambience to an entirely different level. This is our signature perhaps—custom sophistication that refines functionality. We’ll do this not just through placement and selection of furnishings and fabrics, but through design of the space itself…right down to the wainscoting. Our clients? They range from commercial to residential, and from North Carolina’s Triangle to the Atlantic coast (and even to Manhattan and DC). We work with trend-setting restaurants, high-end fashion boutiques, large corporations, and client-centered gyms and salons. We’ve also worked with developers, homebuilders, homeowners, second-home owners, and more. At MA Allen Interiors, design for us means everything from the outside in, from ceiling to floor. 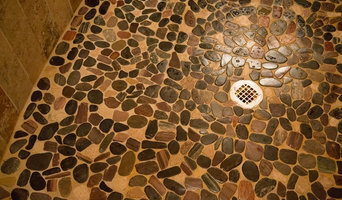 What we want to do is make your space—however large or small, public or private it may be—custom. With lines that appeal, details that draw in, and comfort all around. 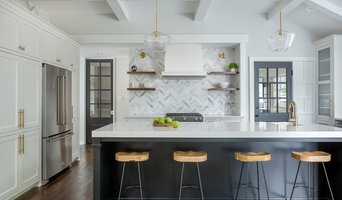 Hauch Design is an architecture and design studio in Raleigh, North Carolina, working to create places that support creativity, community, and the environment. We focus on energy and space efficient design, simple and sustainably-sourced materials, and natural light to meet the goals of each project.